Cycle performance: 300 cycles to 70% with 10A discharges. 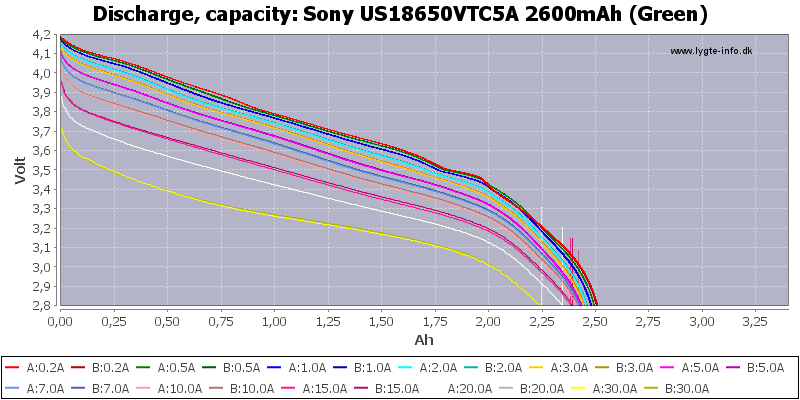 A very high current cell with fairly high capacity. 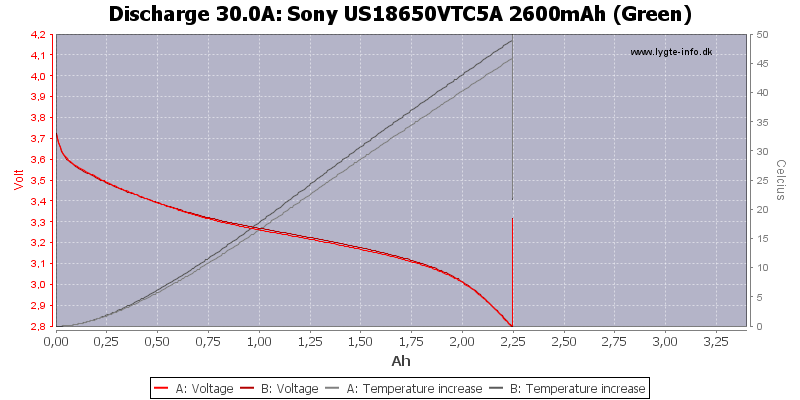 The discharge curves has very good tracking and the cell handles the 30A discharge nicely. 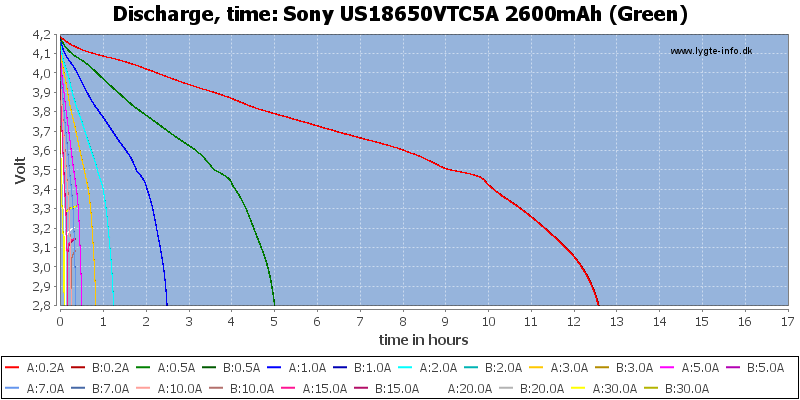 The cell was very close to the cut-off temperature at the end of the 30A discharge. 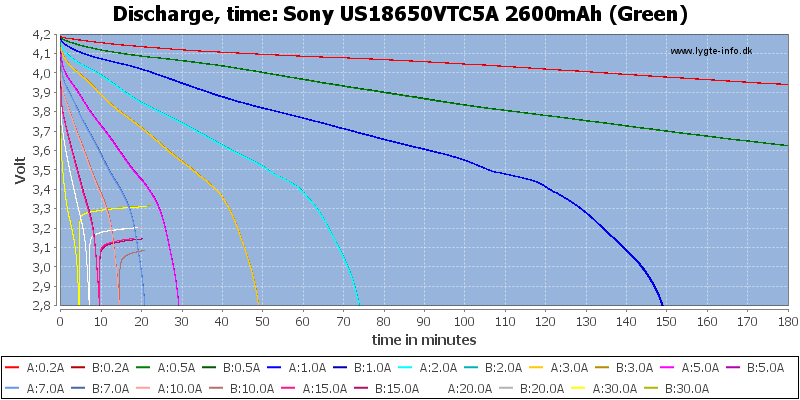 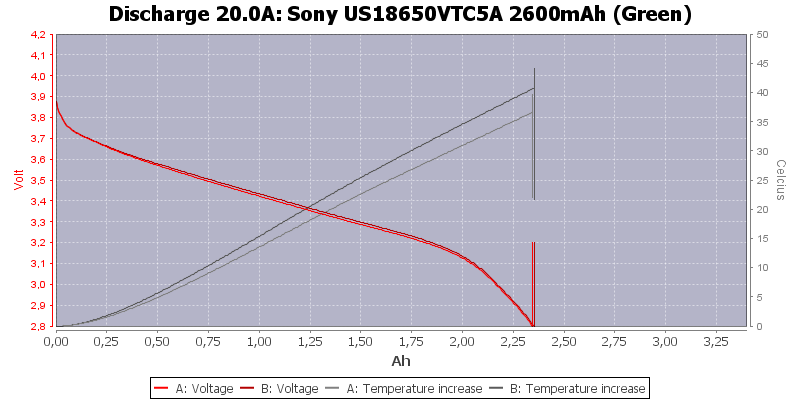 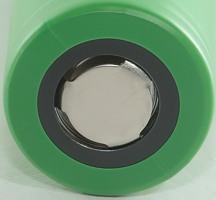 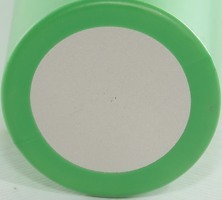 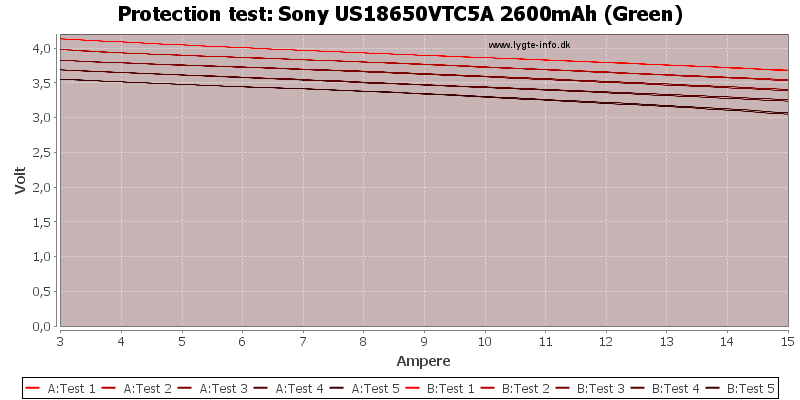 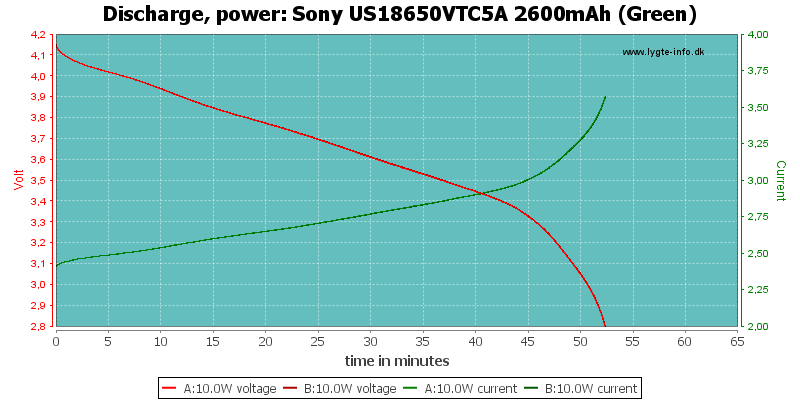 The upgrade from VTC5 to VTC5A did not add more capacity to the cell, but the voltage is slightly higher when drawing current. 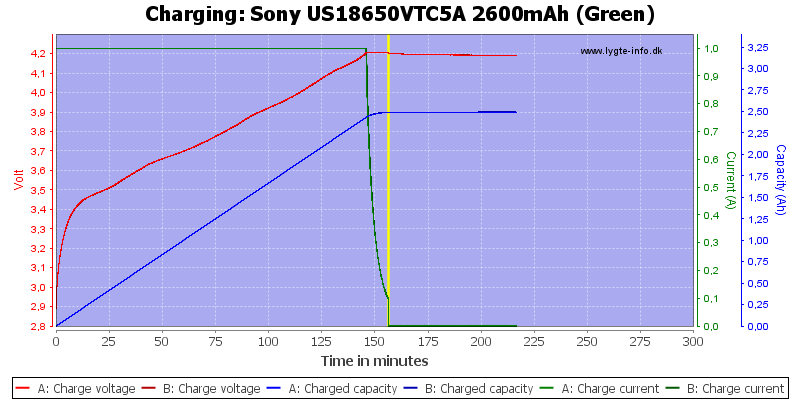 As usual the Sony cells are very good.